It is a technology heading era, to connect an owner of a renter property “host” and renter of that property “guest” has been quick and easy with the best working property rental software. To make it possible high-end technology is used to develop. Also, it takes days together to craft out software. Think about constructing a building. The process starts with simple paperwork to an actionable product. Similarly constructing a property rental management app works to steps described below. Before getting into hands-on, first clearly set the purpose of the app. To develop an App like Airbnb is to provide seamless customer service on a rental sector by connecting the owner of a renter property “host” and renter of that property “guest” smoothly plus, manages the property listed. Plan and pen down the modules to be glued up. It speeds up the process and reduces the lagging period. The Airbnb clone app evolves around users (host & guest) and admin of the system. Here is the list of core functionalities available in an app like Airbnb. Onboard: A gateway module, that allows only authenticated users to enter. App development like Airbnb allows users to enter the system through multiple entry points. Users register by providing pieces of data, authenticate themselves with this information. Profile: Users that are mentioned above denotes both one who owns the space (host) and one who rents the space (guest). In Airbnb clone, a single profile is shared by them (i.e) users switch their roles with a single login. Same way they can perform the task using it. Facts given by user can be changed by them, if there is any mistake or miscomprehend in their profile. Advanced Searching: The combination of efficient algorithm and back-end structure, flushes out listing as per the guest query. Using this module the guest finds their desired space for rent by providing details asked like where, when, how to accompany. To be specific, even more, filters have added a list of accurate space around the geolocation. Booking: Vital module of the whole system portraits the space booking for rentals. Followed to guest choosing the desired space, clear details about it that include a crispy description, attractive snaps, live video, details about amenities and rating and review about the space are fetched that are linked. Space gets booked immediately if it allows instant booking or else it moves to the reservation. Host approves it and booking gets confirmed. Safe Transaction: Along with the integrated multiple gateways, the function of payment transaction gets simpler and safe. Review: Build trust with the review module. The best Airbnb clone designs functionality similar to it with user’s ratings and reviews on space and hospitality. The system collects details and stores it in a structured database so that it quickly extract when it is required. Chat: Maintain connectivity by sending and receiving messages. The host and guest connect clarifies their doubts regarding space book and build trust. Space To List: Main module for the host, where they can express the space through words, pictures, live streaming videos, etc. A host can add more spice to the listing with amenities, pricing, booking discounts, etc. Host Experience: Airbnb facilitates users with this exclusive module, where the host can share their passion and earn more money by bringing a guest along. Host experience, this exclusive functionality which is available only in the best Airbnb clone. Multiple languages: Rental business can be expanded to a wide range, to get adapted to every location, our script comforts the users with varied languages that include Arabian script, which is written (right to left). Multiple Currencies: Same as languages, multiple currencies are available globally. To have a peaceful transaction, your system must be flexible to any currency type. Cancellation Policy: In any uncomfortable scenario, booked space can be canceled as per the various policy listed similar to Airbnb. Wish Lists: Desired space can be booked, also the wished space can be listed when it fits into the needs. Most attractive listed is shared to social platforms. Invite Friends: Airbnb is rental business software, similarly, Airbnb clone is used for rental business. This module helps to promote the business. The Airbnb comfort the users, by connecting them smoothly. The process starts with the creation of a profile with multiple social media that provide authenticated users. Here comes the turning point, where the user to catch a path to be host or guest. Users in a rental app can be the host and also a guest in a single account, such seamless switching is should be mandatory. If the host, you can list your rental property details so that it will be displayed to the guest clearly. If a guest, you can book the property by skimming through a large list of rental listing, which is displayed based on the search options. Then you can choose a preferred listing and make your trip memorable with secured payment gateways. You can move for instant booking of the property while booking, or else the booking will be reserved. After the mutual confirmation, the property will be booked for rental. Here both can have a hearty conversation before warm welcoming. By now you are with core functionalities to build a property rental app. It is time to align those functionalities and design a user-friendly app. Yes, prototype it! Simple Sketch – Pen down your app on a paper. Visualize the app structure – here you can show the structure of pages, how related pages work together, visualize the general layout of a website or app and details about information will be presented on individual screens. App Mockups – Transform schematic layout into a static representation of a future product. Here you can decide on the product’s color scheme, visual style, typography, look and feel of the product. Prototype – It’s an interactive illustration of the final products that look like the actual product without code. You can test the flow of the product here. Wanna interactive experience for the users. It is possible with defining and integrating back-end of the rental. The layout of the database with the server, APIs portraits the operation of the system. Before getting into it, make sure about the language to be used to connect, type of database to store and seamless hosting platform. Finally, you have reached the most important phase in this process, the app development stage. Set setting your hand into the code, first decide the app platform be cross or native or hybrid. In a native platform, you have the custom app for every operating system. This kind of improvement permits achieving quicker execution gives better security and guarantees clients with better involvement. In cross-platform, the source code developed will be adaptable to any operating system or device. The speed of the device increases and development costs will be reduced here. Secondly, listing out the frameworks and coding languages required to build an app like Airbnb. Thirdly, the app turns to be interactive with the integration of the database. 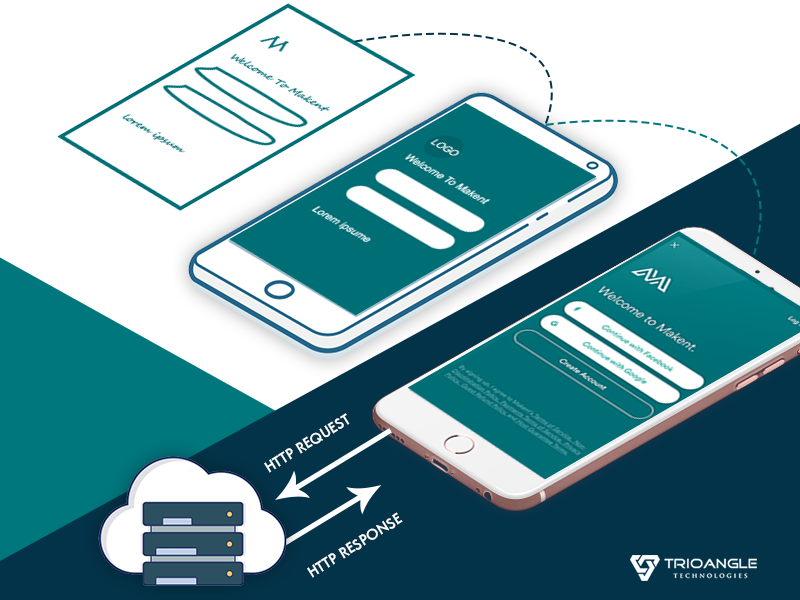 From front-end user requests any data, the app immediately searches, fetches for the data from the connected database. This shows how responsive and fast the app is. In Airbnb Clone / property rental app a scenario like, if a guest queries on listing as per their requirement the app should list out appropriate listings fetched from the integrated database. The final phase is software product testing that includes Functional Testing, Usability Testing, Performance Testing, Regression Testing, Device-Specific Testing, User Acceptance Testing. Any error committed, quality, speed, security, and corrections in performance are tested and rectified for the seamless performance of the app. The tested app is ready to launch in respective app stores as per the guidelines. Acquire the best technical support in all phases from best Airbnb clone script, for details ping to [email protected].